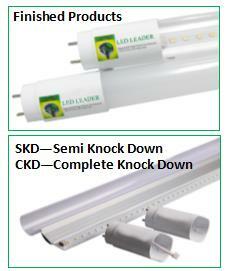 THE ONLY LED LINEAR TUBE THAT CAN SAVE 95% OR MORE IN ENERGY! This is one of our new market leaders. You can't get any better than having light only when you need it! This is the only LED linear tube that can save 95% or more in energy in many common appli-cations like stairwells, hallways, corridors, parking garages, etc. u A good quality sensor can cost $60-100 or more. u A good quality LED linear tube can cost $30-40 or more. 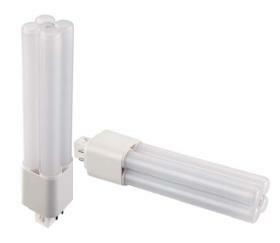 u Add another $10-20 or more for an LED linear tube that dims. That is as much as $160 to get done with other products what our all in one microwave sensor LED tube can do for you at less than half that cost! 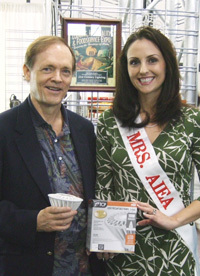 * This is the best value LED tube available anywhere in America today! 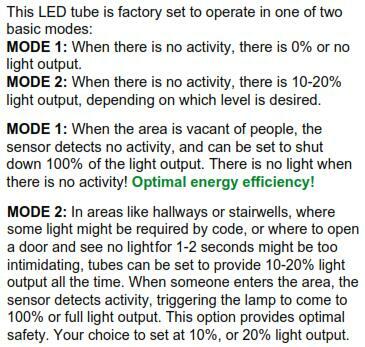 The only LED tube that can save you 95% or more in energy. * Based on large volume purchases of several hundred or several thousand units. HOW DOES THIS TUBE WORK? Both of the most critical parts (the driver and LED board) are replaceable! Best of all, this work can be done without using any tools! Our snap in parts can be easily replaced completely by hand. This enables everyone to be able to repair these tubes at your own business location! Rather than having to purchase a whole new LED tube, if the driver or some other part goes bad, you simply, quickly, and easily replace that part! Your tube is now as good as new! This saves on lamp replacement and installation costs! 12 Watt 4ft "Any Application"
LED LEADER'S 12 watt Any Application LED tube is the best designed and most energy efficent tube to date! 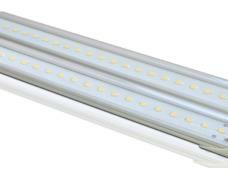 It replaces 25-40 watt 4' fluorescents (T8-T12) via direct install on most electronic or magnetic ballasts. It can also be wired-in direct at linevoltage of100-277V. These glass tubes utilize the highest efficacy chips, drivers, heat sink, lense cover, etc. 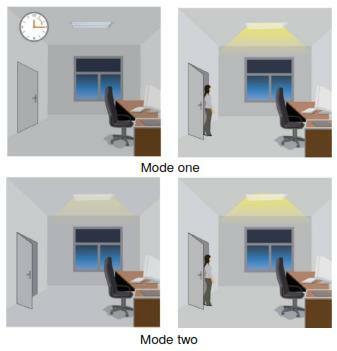 Everything has been designed and engineered to provide optimal light output, maximum energy-efficiency and long life. 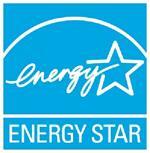 Save up to 80% in energy by installing them! COVER: We employ the superior benefits of glass. Unlike PC or plastic, glass won't yellow, or get brittle and crack. Glass transmits light optimally, & releases heat better than plastic for a tube that stays brighter over it's long life. Are windows made of glass or plastic?!! Any App tubes have outstanding 330 degree coverage - over twice that of most tubes! Bead welding insures that if one chip fails, all others will light! DRIVER: The driver power factor is a superior >.95. Rubycon capacitors last up to 6 times longer than than ordinary ones. Double fuses prevent overheating for long life of 50,000+ hours. 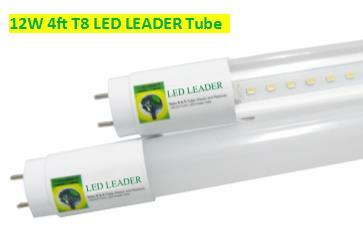 Benefit from the revolutionary low 12 watts of these superior LED LEADER energy-saving tubes. Ideal for the widest range of applications! 4 Ideal for hotels, offices, cafes, meeting rooms. shopping malls, home and school lighting, etc.